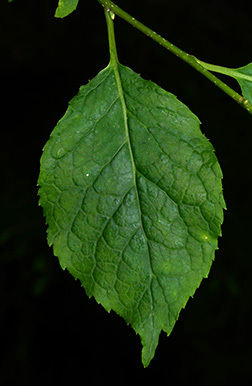 Leaf:Alternate, simple, deciduous, 2 1/2 to 6 inches long (commonly 4 inches), shellow pointed teeth, elliptical to ovate, glabrous and green above, paler below, thin but with prominent veins giving leaves a wrinkled look. 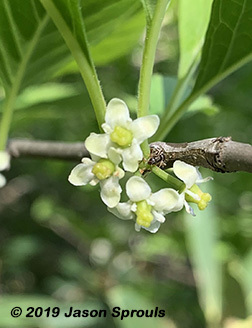 Flower:Species is dioecious; both male and females are short-stalked and greenish-white, 1/4 inch across, 4-7 petals, usually in clusters, appear in spring. 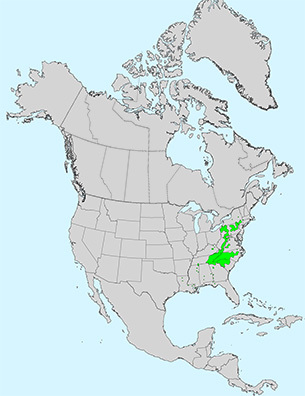 Fruit:Round drupes, to 1/2 inch in diameter, orange-red to red, in sparse clusters, ripening in fall and persisting for a short time, seeds grooved. 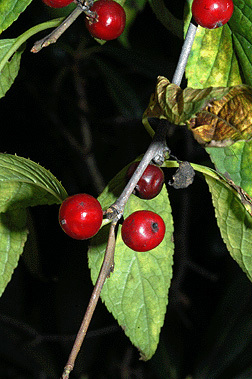 Twig:Slender, gray-brown to red-brown, with scattered light lenticels, buds and leaf scars are small, one vascular bundle scar, spur shoots common. 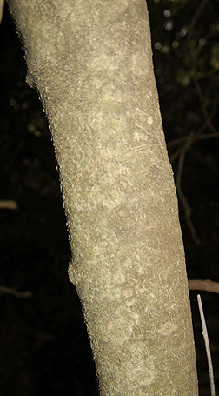 Bark:Thin, young stem with obvious lenticels, later smooth but warty and gray brown. 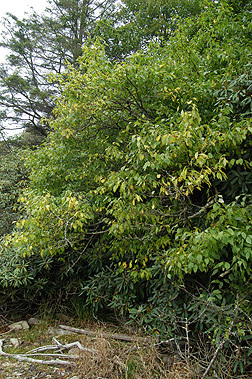 Form:Upright shrub to a small tree, usually with multiple stems, commonly to 20 feet but may reach 40 feet or more.